Taylormade Model Makers are architectural model makers for architects, designers, property, developers, sales and marketing. Based in London, their goal is to create architectural models that fulfil a particular purpose. It could be a sketch model for part of a design process or a detailed marketing model to help sell a project. The owner requested an elegant logo design that showcased the business as offering a bespoke, high-quality service. 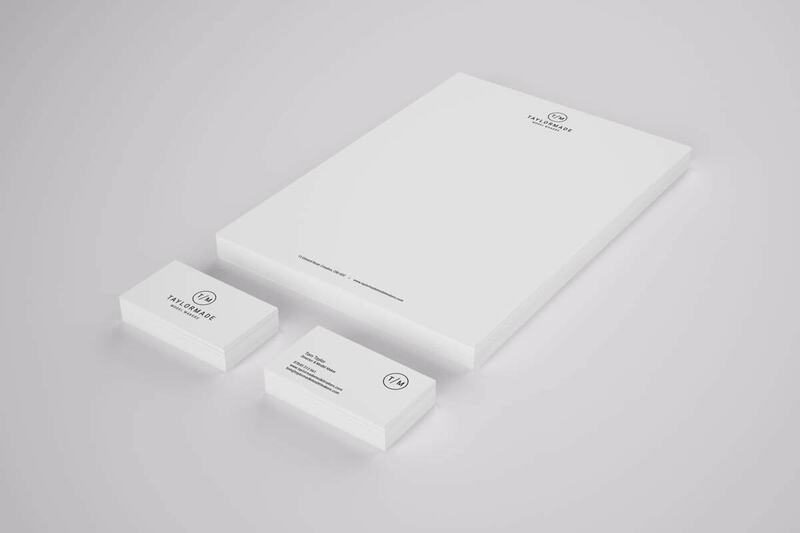 He wanted an elegant brand identity design that provided great attention to detail. With the target audience being established architectural and design agencies, the brand needed to appear professional. After providing my brief, Stuart clearly understood the message I wanted to portray. This was evident in the initial concepts he designed for me. After several design cycles, I now have my elegant logo design which I am extremely happy with. A very professional and knowledgeable designer, I would recommend Stuart to anyone looking for a well-designed logo. Need an Elegant Logo Design for your Business?